Everything funny book related goes under this category. 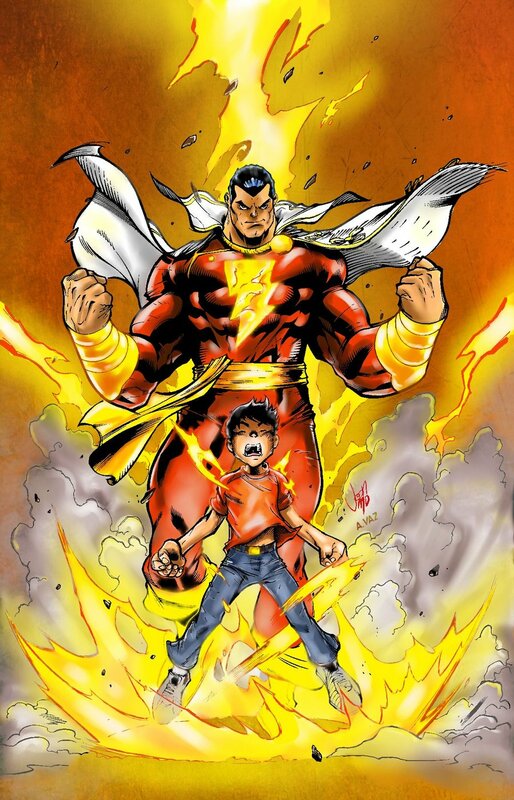 Shazam, Captain Marvel that was, is by far and away my favorite DC hero and when I heard that he was going to be a playable character in Injustice, well I was more than a little excited. I’ve played over a thousand matches using Earth’s Mightiest Mortal and I think I’ve got enough experience under my belt to help anyone out who wants to give the character a try. I’m going to break this up into a series of posts, starting with an overview of the character, what I think makes him fun to play, and a breakdown of his strengths and weakness. Let’s get this party started, time to level up your game! SHAZAM! Billy Batson’s alter ego is all about the vortex. His skills are best put to use from two character lengths away and closer, that way he’s always in range for his unblockable, and unforunately crouchable, Herculian Rush. He’s a medium/high risk, medium reward character that relies on rushdown and great guesses to do the majority of his damage. If you can read your opponent and have a couple of meters stocked, he can do well over 70% damage in a flash. He’s got relatively easy combos and options to mixup opponents once he’s in close, but he’s at a serious disadvantage a screen away. 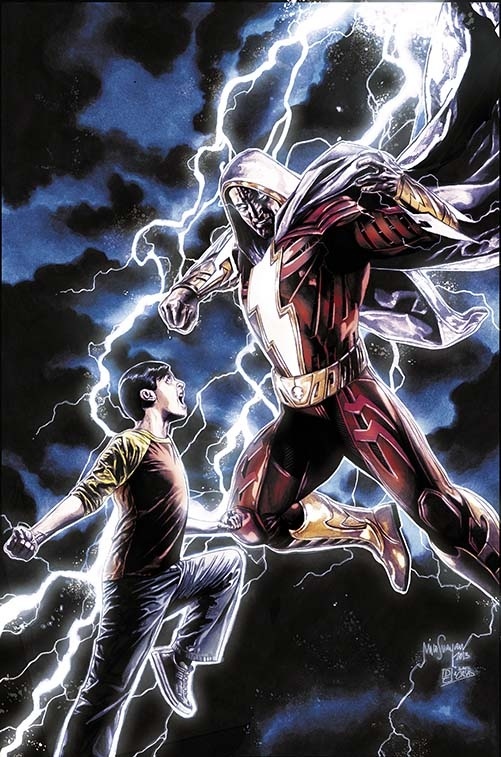 In short: Shazam is a mobile grappler/vortex character that requires quick reflexes and good reads to play effectively. Online it can be difficult to crank out victories because there’s no time to adjust to your opponents playstyle. But the wins are absolutely worth it. First ask yourself a few questions. Do you like Shazam? Do you like putting people in a blender of pain? Hate zoning? Like unblockable command grabs? Like easy combos? Do you like resets? Do you despise the top tier? If you answered yes to any of the above then I think it’s pretty safe to say that you’ll enjoy playing as Earth’s Mightiest Mortal. He is not an easy mode character by any stretch of the imagination, so if you’re looking for Superman’s F2,3 you should try someone else. Like I said above, he’s one of the more challenging characters to use, but oh so satisfying. 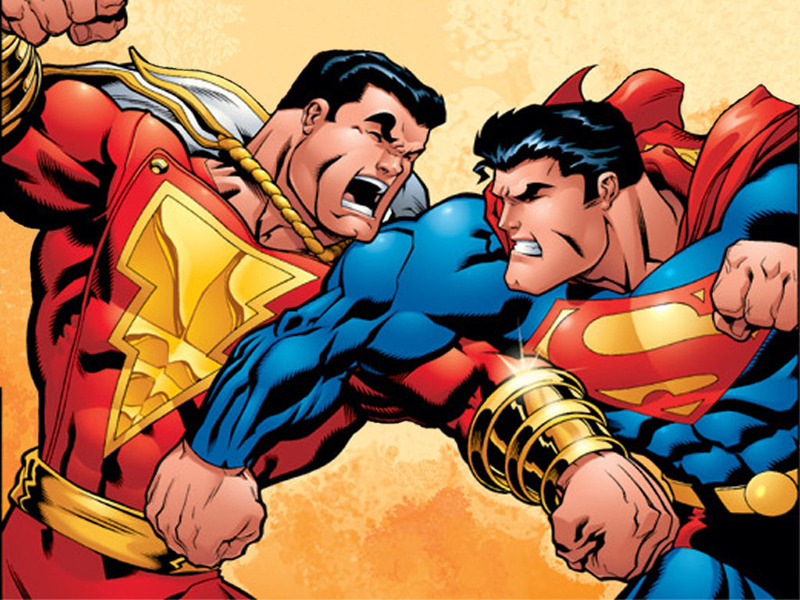 Let’s talk about what makes Shazam a formidable fighting force that inspires fear when used to his full potential. Impressive Mobility: Shazam has a pretty decent forward and back dash that cover space quickly. He also has access to Advancing/Retreating Mercury, teleports that turn him completely intangible for a brief moment, allowing him to bypass projectiles and cross up opponents on the ground. His teleports are incredible on wakeup, capable of escaping most enemy’s jump-ins. The Vortex: Shazam’s game revolves around getting up close and assaulting the opponent with his unblockable command grabs. Herculian Rush grabs standing opponents from surprising range, while Achilles Clutch grabs crouchers. He has all the tools he needs to start the pain, with an above average sweep, nice J1, ambiguous J2, and some exceptional overheads that lead into grabs. After a knockdown he has a host of options with which to plague his enemies, but keep in mind that the majority of them lose to wakeup attacks. Useful Specials: All of Shazam’s special moves have a place in his game plan. None of them are useless. We’ll talk about them more in subsequent posts. Great Ways to Punish Turtlers: Down back really isn’t an option against a good Shazam. He has his low-hitting Achilles Clutch grab, but also F1,2 – B2 – F3 and 2,2 which can be used to hide command grabs. Your opponents will soon realize that standing is a much better option, though that opens the door to Herculian Rushes and electrocution. Unfortunately Shazam does have quite a few more weaknesses than he does strengths, but don’t let that deter you from picking him up. They are all more than manageable if you’re smart. No Wakeup Game: One of the most glaring weaknesses pre-patch, Shazam now can use his teleports to get out of sticky wakeup situations. However, that’s really all he’s got. I suppose in a pinch you can do a wakeup Herculian Rush to kind of move you out of harms way, but stick to Advancing Mercury. Loses at Range: Shazam stands no chance at range. His lightning bolt trades in the enemy’s favor at best. His dash is good enough that you can close the distance quickly, but you still have to be very, very patient. Also, while the teleport seems like a great way to get in fast, timing it so that Shazam dodges completely through projectiles is tricky in most cases and impossible in others. No Low Threats: Honest to goodness, I think this is Shazam’s biggest weakness, there is virtually no reason why your opponent should be blocking low unless you’ve been beasting them with your command grab. He has a grand total of two, yes 2, low attacks: B 1,2,3 where the final hit is low, and his sweep. The first can be rolled out of and the second causes an untechable knockdown, but sweet Christmas, he has virtually no real high-low game. You need to make people FEAR the grab. Normals Lack Range: Aside from 2,2 the Big Red Cheese needs to be right up in their face to hit people. He can’t poke in any real sense of the word, and aside from B2,3 which is duckable on the second hit, he has no attack that threatens more than a character length away. Unlike a majority of the cast whose B3 covers serious distance to wallop foes (Batman, Wonder Woman, Aquaman anyone?) Shazam sways back and punches right in front of his face, going nowhere. No Easy Confirms: Unlike Superman and Batman, Shazam doesn’t have any easy confirms or strings that lead to big damage. Meter Hungry: To do any real damage, you need meter. Badly. Even then, off of a raw meter burned Herculian Rush you’re only doing 37% with no trait. He needs to meter burn on all of his specials for damage and positioning, so in the second round meter management becomes much trickier depending on whether or not you want to save up for a wager. 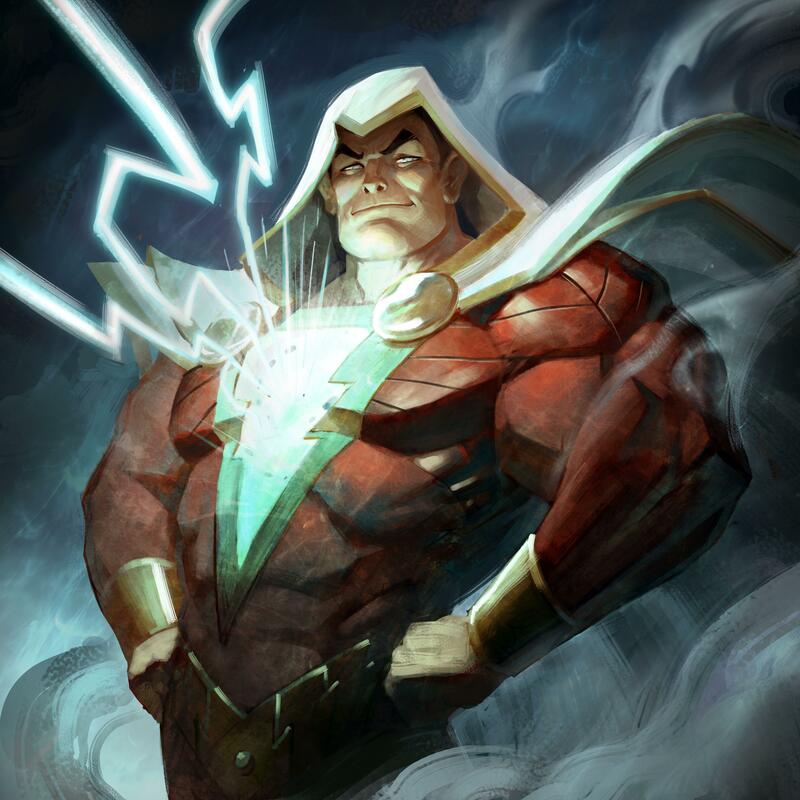 Hopefully you guys have some sort of idea about what Shazam is capable of, his playstyle, and his strengths and weaknesses. If you’re interested in picking up the character or you have any questions or comments, feel free to type them up below. Next time we’re going to be talking about strategy, his normals, and his specials, and what an ideal match looks like. Stay tuned! 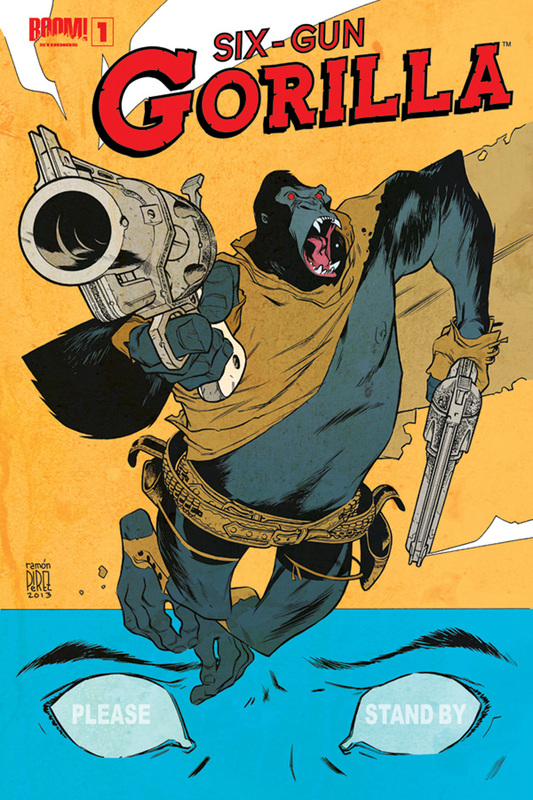 Hey folks, I just happened to review Simon Spurrier and Jeff Stokely’s sensational new comic, Six-Gun Gorilla #1, over at DestroyTheCyborg. If you’re a fan of giant apes or gunslingers, or think you might be interested in a combination of the two, you should: 1) read my review and 2) go buy the book! It’s more silly space-age simian fun than you can shake a stick at! Want to stay abreast of all the awesome things I write about? Follow me on Twitter, follow my Tumblr, and check out my YouTube channel! 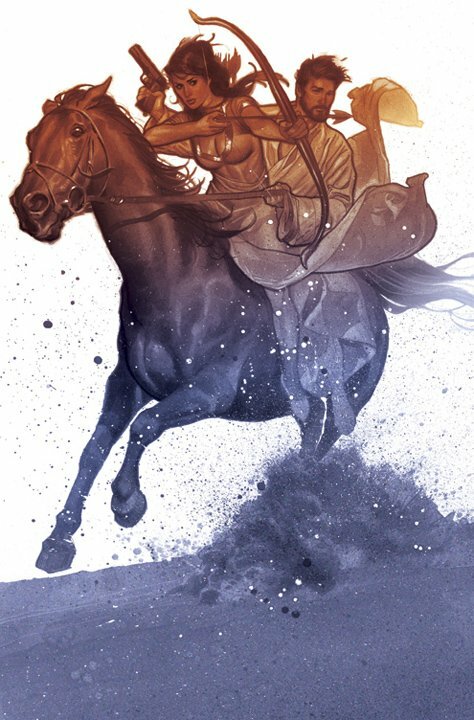 New Issue of Symbolia – Heroines – Out Now! Hey everyone, just wanted to let you know that issue #3 of Symbolia hit virtual newsstands today, and this one has my name in it! But really, you’re going to want to check this bad boy out. 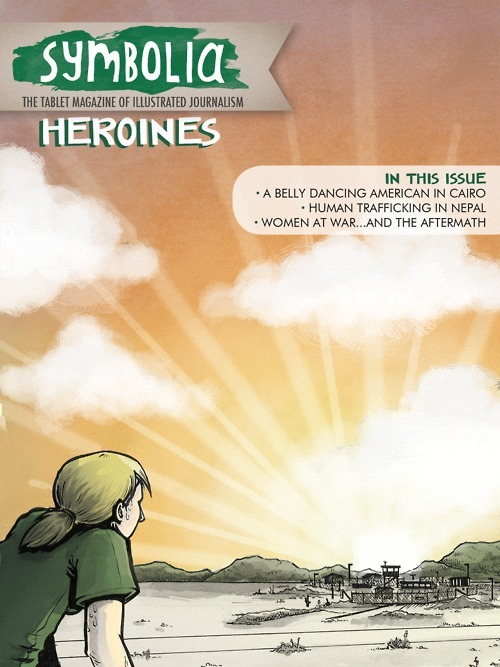 It has work from a truly incredible array of artists, from Dan Archer to Lucy Bellwood to Leela Corman to Jeff Ruliffson, and features inspiring stories from women around the world as reported by Sara Mirk and more! There are five complete tales inside: LUNA OF CAIRO, THE DECISIONS, MEERA’S STORY, and two different but connected stories in DECLASSIFIED. You’ll learn about the difficult circumstances of a belly dancer in Cairo, the harsh realities of life after the military and Guantanamo Bay, and the insidious human trafficking trade in Nepal. 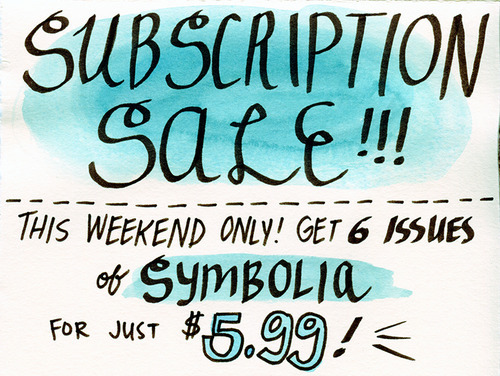 It’s a powerful issue and if you love hard hitting stories and comics, you should absolutely give Symbolia a look. 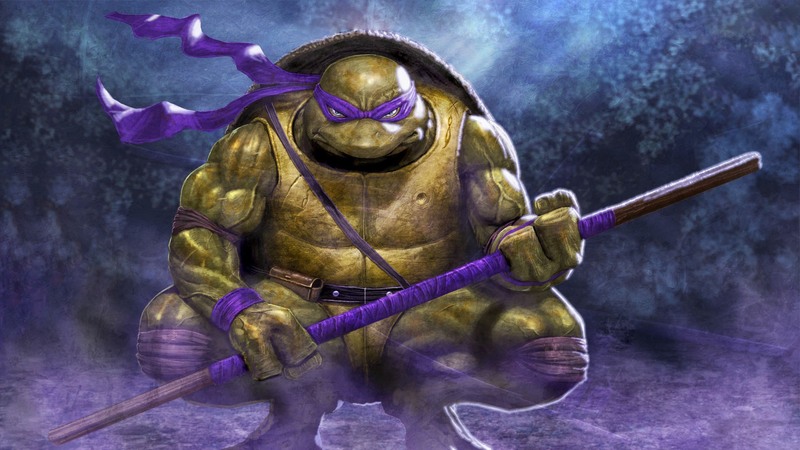 On the NES he was everyone’s go to turtle because of that beautiful bo staff, that’s right folks, today we’re talking the mean machine-lover Donatello! We still have a couple of weeks until Out of the Shadows drops, so that means here at I Speak Comics we’re going to scrutinize every character trailer, break down what’s going down, and make a lot of baseless assumptions about combat and gameplay mechanics. Take EVERYTHING here with a huge helping of salt. Sound good? Before we get started, let’s put a few things on the table. From what I’ve been hearing, TMNT: Out of the Shadows will have combat that resembles the Batman: Arkham series. There are some very choice moments in all the clips where I can very much see that being possible, so I’m going to base a lot of the language and comparisons I use around Arkham. Cool? So without further ado, let’s talk about the Testudine techie, Donnie! 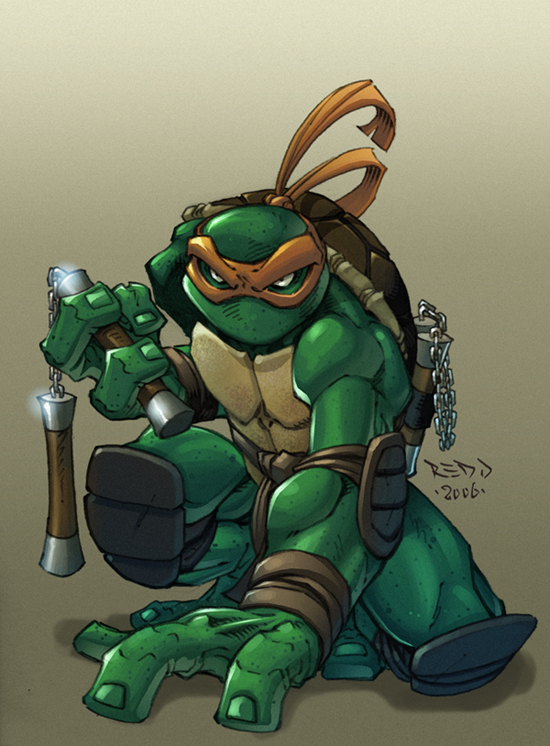 As of right now it seems like we can break the turtles down into having four unique characteristics: power, range, mobility, speed. Power indicates the strength of their attacks, range indicates the distance from which they can hit enemies, mobility is their movement speed and ability to dodge, and speed is how quickly they can chain attacks together. Going from everything we’ve heard, and assigning some arbitrary and again, baseless, numbers, we might suppose Donnie would look a little like – Power: 4, Range: 4, Mobility: 1, Speed: 1. Obviously, the higher the number the better the turtle is in that aspect so here he’s capable of dealing the most damage from furthest away, but he’s a real clunker. Now let’s get down to the actual nitty gritty pixels we saw in the trailer above. First thing, I want to draw your eye quickly to 12 seconds in, just before the first big power blow. Notice how the enemy is sort of keeled over? I think this indicates that enemies can be stunned. Will it be like Batman hitting thugs in the face with his cape, a brief period of dizziness allowing for a free attack? Will every turtle have access to an attack like this? The next thing of note is at 15 seconds, where Donnie utilizes his launcher. He immediately follows it up with a spike. First let me say I’m geeked for launchers. That opens up a whole new dimension of aerial combat that was absent from Arkham’s wholly ground-focused gameplay. I’m curious though, can you choose to avoid the spike and simply leave them to fall into a juggle combo? That’d be a addition to the combo system. At right around 20 seconds you’ll see him spin the bo staff around his neck. If it’s an attack I don’t know how much range it would have or how useful it could be, but god does it look sweet! Then comes one of the coolest attacks in the trailer, Donnie channels a little Neo, planting his staff, jumping, and running on faces (:21). If you’ll notice, every enemy he kicks in the face falls down, likely freeing Donnie up some space for extra punishment. Crowd clearing anyone? At :32 we’ve got the toe tap, aka dance monkey, aka one of Kilik’s most annoying attacks from Soul Calibur. Maybe this is a way to open up turtling (heh) opponents? I can’t imagine many uses for it besides to style on fools. Then at :33 he’s got a bo staff flash kick, an homage to the one and only Guile of Street Fighter fame. Don’t forget about the whirlwind, as Donnie takes a page out of Guan Yu’s book and cosplays a whirlwind (:37), swinging his staff in two huge circles with massive range. For all it’s range, this doesn’t look spammable, as you’ll notice one of the Foot soldiers blocking the attack. I’m very happy to say that it also looks like our turtles have a parry/counter move. Check at about 40 seconds in, Don blocks an attack from behind and then whips around and lands a crushing blow to his nefarious ninja opponent. I know there’s not a lot to go on here, but look closely. There’s a brief flash of light, then the Foot’s arms go up in the air along with his sword, a very “countered” stance. Though I could absolutely be wrong. I don’t think I am though… Anyway! One of the best examples of the free-flow combat we might see in Out of the Shadows is right at :28, where Donnie knocks a ninja down, then immediately turns and throws an enemy that’s standing behind him. Very Batman. I wonder though, is there a throw button? We’ve heard that there’s a weapon attack button and a kick button, and likely a dodge/roll button, but what triggers a throw? Could you throw in Batman, or was that only when the combo counter got high enough? I can’t remember, but hey, we’ve got awesome looking throws! So that’s it for this entry, I hope you guys enjoyed it and took a look at the trailer a little more closely. There’s a bunch of stuff in there to get you hyped for this game, and more specifically for our favorite staff-wielding turtle. He’s got power and range, a slew of awesome attacks, and more than enough style to swing a stick at. 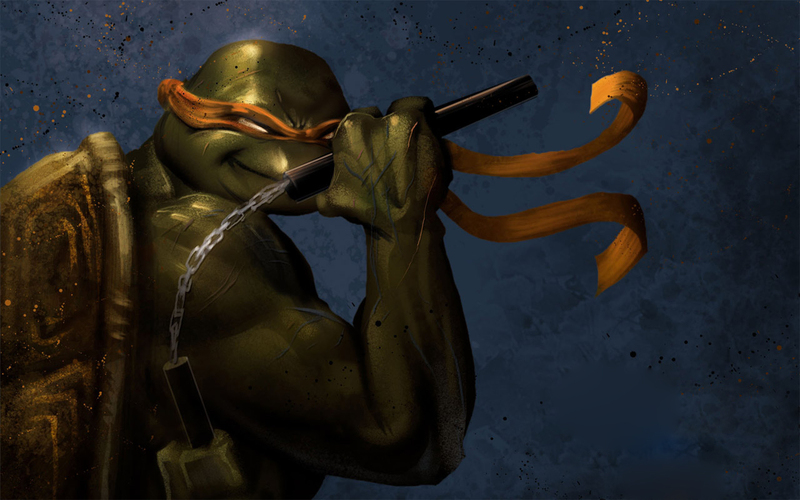 I’m going to be doing Raphael tomorrow, so look out for that. Grab some pizza and I’ll see you soon! Follow me on Twitter @kingofbreaker for more turtles, comics, and video game goodness! I have yet another review up over at DestroyTheCyborg, this time I talk about the latest addition to the Fairest series, Fairest #16. Witness the return of Prince Charming, dhole action, and other awesome! Coming off of the awesome “Hidden Kingdom” arc that pit Rapunzel, searching for her lost children, against the Japanese fable community, does the second issue of “The Prince Who Would Be Maharaja” continue Fairest’s affinity for excellence? In a word: no, though the book does give us an interesting new female protagonist and the return of a character long thought lost during the Fabletown War.